Headphones are by far the fastest-growing segment of the audio marketplace, and it’s no surprise that many leading loudspeaker manufacturers want a piece of the action. Over the past year we’ve seen new headphone models from Bowers & Wilkins, Klipsch, Paradigm, and Polk, to name but a few. In many cases, it’s not clear how much of the design was done by the company whose brand name appears on the product, and how much was outsourced to others with more expertise -- or, at least, experience -- in headphone design. Into the fray come the M4U 2 headphones from Canadian speaker maker PSB ($399 USD). I spoke with PSB’s chief engineer, Paul Barton, about their development. PSB is well aware of the tremendous role that headphones play in the musical lives of both audiophile and non-audiophile consumers. A savvy company needs to respond to such a market shift, but a company with a very strong reputation for performance, build quality, and value has much to lose by a misstep. Barton never even considered the idea of slapping a PSB badge on someone else’s headphone design. If PSB was going to make headphones, they needed to be truly PSB headphones -- it is, literally, his name on the line. How should headphones sound and measure? There are many schools of thought, but Barton had an easy answer to the first question: A pair of headphones should sound like a pair of flat-measuring, full-range speakers properly set up in a good room. As to how ’phones should measure, he began with the work that had been done at Canada’s National Research Council over the past three decades -- primarily used to develop hearing aids. To mimic the way soundwaves propagate around a human subject, researchers use a device called a head and torso simulator (HATS), the most popular models of which are produced by Kemar. The curve obtained by measuring a loudspeaker with Kemar HATS in an anechoic chamber doesn’t take into account the reinforcement that a real listening room gives to the low end, so compensation must be made. From that point, it was a matter of building, measuring, and listening -- as it would be with the design of any audio component. 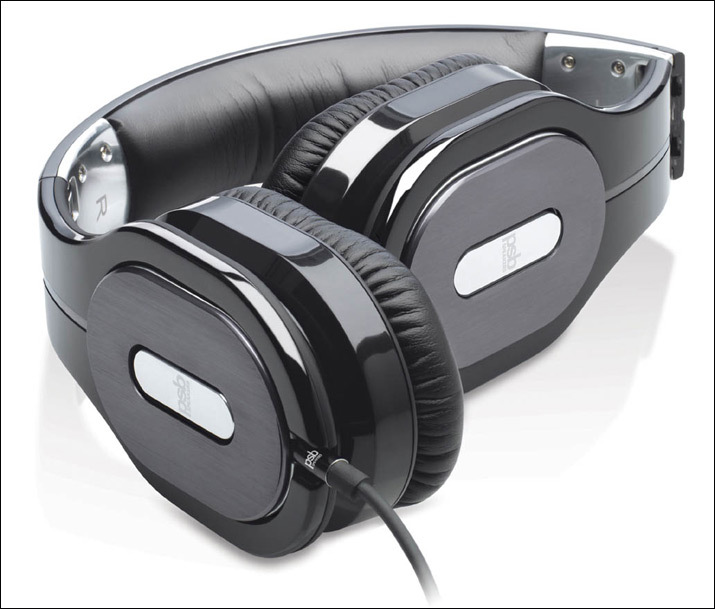 The M4U 2s’ sealed earcups are oval, and constructed of a shiny, black, nonresonant plastic. The circumaural earpads are medium-soft, with a good-quality leatherette covering. It’s tough for a designer to choose the proper size for this sort of headphone: The earcups need to be small enough to keep the headphones portable and sleek, but large enough to fit all the way around the ears to form a proper seal. The open portions at the center of the M4U 2s’ pads -- where your ears need to fit -- measure 2.5" x 1.75". They fit just right on me, but those with larger ears may not be able to achieve a perfect seal or find them as comfortable as I did. The headband seems to be of the same plastic as the earcups, with a nicely padded underside covered in leatherette. Its metal hinges allow the earcups to fold all the way up and into the headband for storage in the included, semihard travel case, which mirrors the earcups’ shape. Nice. The headphones clamped with enough force to keep them in place during moderate activity, but I wouldn’t recommend them for a vigorous workout at the gym. Aside from the travel case, the package includes two 1.5m cords. One of these is for music listening only; the other adds a microphone and remote control for use with smartphones. One feature of the M4U 2s that I hadn’t seen before is that the single-sided cord can be attached to either earpiece, so that you have a straight shot to whatever device is connected to them. The connection is a simple 1/8" headphone-style jack -- but it has four conductors. Also included are an extra set of earpads, a 1/4" adapter, an airplane adapter, a wiping cloth, and two AAA batteries. Both the headphones and their accoutrements seem well thought out and well executed -- like a mature product rather than a first attempt. The M4U 2s can be operated in three different modes, selected via a switch on the right earpiece. When the switch is in the Off position, the M4U 2s function as a normal set of passive headphones with a 32-ohm impedance. The data sheet states the sensitivity as 102dB (1kHz/1mW). In practice, they can be driven past safe levels for long-term listening even by an iPod. Moving the switch to On engages the onboard amplification. That circuitry boosts the signal level, adds equalization to deliver what PSB calls "room feel," and raises the M4U 2s’ input impedance to 10k ohms. This high input impedance means that the differing output impedances of various portable devices won’t alter the ’phones’ frequency response, and that the PSBs will draw very little current from the driving device, thus prolonging the latter’s battery life. Variations in source impedance will make the effective gain of the PSBs’ active circuitry range from about 5dB with an iPod to as much as 15dB with a typical laptop computer. Selecting ANC engages the PSBs’ Active Noise Cancellation circuitry, which is entirely analog and uses four microphones: one on the inside and one on the outside of each earcup. To me, the most interesting feature of the PSB M4U 2s is their active mode. Essentially, the M4U 2 is a pair of compact headphones with a built-in headphone amplifier. Shortly after the M4U 2s arrived, I was making a binaural recording of a performance by a chorus with pipe organ. I didn’t use the PSBs to monitor the event -- they were still a relatively unknown quantity -- but I did use them to listen to the recording as soon as I got home. I was floored by how much bass they reproduced. I often write of a component’s ability to reproduce organ-pedal notes -- the notes at the bottom of the instrument’s range, played using the pedals -- but I’d never before been able to make a back-to-back comparison with a known recording setup. No headphones can give you the full-body experience of the live event, or of truly full-range loudspeakers and a great sound system, but the M4U 2s rattled my skull to the same degree as what I had heard just a few hours earlier. I verified with stepped test tones that the bass reached down to 25Hz. At 20Hz I didn’t hear anything, but I've never heard more than a faint vibration at this frequency. Many of today’s headphones give the impression of deep bass while delivering only an abundance of midbass. The M4U 2s might be relatively small, but their bass depth was fully competitive with any headphones I’ve heard at any price, and far superior to most. It isn’t enough that headphones reproduce a lot of bass. Any headphone with audiophile ambitions needs also to make that bass articulate. I listen to a lot of small-ensemble jazz from the 1950s and ’60s, which provides ample opportunity to assess this aspect of a component’s sound. Very subtle differences in the timing of notes from the double bass can make all the difference in whether or not a group swings. The PSBs did an excellent job of preserving those leading edges. The trailing edge is almost as important, as each note needs to get out of the way of the next. Again, the M4U 2s were right on the ball, never letting fast bass lines blend together into mush. Well-controlled bass is equally important for orchestral music. The PSBs clearly delineated the notes in the double-bass figures at 2:35 into the second movement of Mahler’s Symphony No.1, as played by the San Francisco Symphony under Michael Tilson Thomas (SACD/CD, San Francisco Symphony 821936-0002-2). If your interests turn more toward rock or pop, punch is just as important as precise timing. Whether it comes from the bass guitar or the kick drum, a punchy bass line is what propels a song forward. Whether I was listening to "Whipping Post," from the Allman Brothers Band’s eponymous first album (LP, Capricorn 835 321-1); "Cherry Pie," from Sade’s Diamond Life (LP, Epic/Audio Fidelity AFZLP 089; CD, Epic EK 85240); or "Rolling in the Deep," from Adele’s 21 (LP, XL Recordings 8869744691; 320kbps MP3 download), the M4U 2s delivered the necessary kick to keep the energy level high. One of Paul Barton’s stated goals for every transducer he designs is an even frequency response across the entire audioband. However much I might praise the M4U 2s’ bass, it needed to be in line with the rest of that spectrum. In the active mode, I found that the output rose slightly when descending through the bottom two octaves -- that's 80Hz on down. While that might not constitute strict accuracy, I think most listeners will find it very satisfying -- it helps make up for the lack of physical sensation from headphones without being overdone. The mild bass boost can also compensate for the anemic low end of most portable players. An excess of midbass interferes with the vocal range and causes male voices to sound too chesty. There was none of that with the PSBs. Even Johnny Cash’s baritone on All Aboard the Blue Train (24/96 FLAC, Sun/HDtracks) was clear down to its lowest notes, and I distinctly heard the reverb effect in "Blue Train" as being separate from the vocal line. The even response carried up through the midrange. Instruments were in proper proportion to each other, and voices sounded much the way I’ve become accustomed to hearing them through any number of good systems. That might sound like faint praise, until you take into account how far many headphones -- particularly closed-back designs -- stray from neutrality. The higher frequencies were sufficiently present to make vocal sibilants clear and cymbals sizzle, but they didn’t exacerbate the brightness of commercial pop recordings. The PSBs also seemed to shrug off many of the compression artifacts of the few MP3s I played through them. Better recordings sounded better, but bad recordings didn’t sound nearly as bad as they could have. Considering the variety of situations in which the M4U 2s are likely to be used, a somewhat forgiving nature is worth giving up a little top-end extension. Some of the full-size headphones I’ve reviewed can reproduce a credible soundstage. In the case of the M4U 2s, the word soundstage is probably inappropriate, but they did create a very coherent and continuous aural environment, giving me much more of a sense of being immersed in the recording than of observing it. With most recordings, sound seemed to come from just to the sides and in front of my head, but some could produce more interesting illusions. In "Kote Moun Yo?," from Markus Schwartz & Lakou Brooklyn’s Equinox (24/192 AIFF, Soundkeeper Recordings), Paul Beaudry’s double bass came from a few feet to my left and a foot or two forward, even though this is not a binaural recording. Eiji Oue and the Minnesota Orchestra’s recording of Igor Stravinsky’s The Firebird Suite, from Reference Recordings’ HRX sampler (24/176 WAV, Reference), had the string sections up around my ears, the woodwinds in the front of my head, the brass a little farther out in front of me, and the percussion another few steps back and decidedly one-third left of center. I can’t leave this track without mentioning how the bass drum that opens it had enough depth and slam to make me think the little M4U 2s must be harboring a tiny subwoofer. The great advantage of active mode is that it makes the basic character of the M4U 2s the same regardless of what device is used to drive them. Sure, that aural environment was less expansive, and I lost some instrumental separation when I moved from my usual high-end components through the Grace Design m902 headphone amp to listening to the same recordings from my iPod, but the overall contour of the sound was unchanged. The bass gave up only a fraction of its depth and weight, but maintained nearly all of its agility and punch. The disadvantage of active mode was that it increased the underlying noise level. By itself, the built-in amp adds only a tiny amount of hiss, but it will amplify the self-noise of your portable player. With my fifth-generation Apple iPod, the noise was noticeable only during soft orchestral passages or sparse jazz arrangements when listening in a quiet environment. It was much more obvious and distracting when I streamed Pandora through a Kindle Fire. You would encounter the same noise problem when using any high-sensitivity headphones. Alternatively, most headphone amplifiers will let you maximize the signal/noise ratio and resolution of your portable device, but may add significant noise of their own. The most obvious difference made by switching from active to passive mode was a reduction in the bass. When driven by my iPod, the bass also lost a lot of its punch. Other differences were more subtle, but would be important to the serious headphone listener who might also be considering the M4U 2s for use in a home system. Driving the PSBs with my Grace Design m902, their tonal palette was a little richer and more saturated in passive than in active mode, their upper midrange a little smoother. Even though the lowest frequencies were still down in level, the midbass had enough weight to make up for it with most music, and didn’t suffer the same lack of punch as with the iPod. Using the M4U 2s with the Trends Audio 10.1D GE produced a beautifully present vocal range, but cost definition in the midbass. Driving them from the headphone output of the Resonessence Invicta increased the bass with reference to the m902, but kept it under control. In all three cases the aural illusion was wider, but moved to the sides of and through my head, rather than being toward the front. The sense of space also diminished. Using the Grace’s digital volume display to compensate for the 7.5dB difference in output between active and passive modes that I measured at 1kHz, I found that passive mode damped out a bit of low-level detail relative to active. Listening, for example, to Rodrigo y Gabriela’s flashy acoustic guitar playing on their Live in Japan (CD, ATO Records 0062), I heard all of the attack against the strings, but a little less of the bodies of their guitars. This last difference was quite minor, but I heard it across several amplifiers and albums. The M4U 2s’ closed backs and tight seal against the head mean that, even without any active circuitry, they already reduce the amount of ambient noise. In many environments, you may find that’s all you need. I did no air travel while I had the M4U 2s in for review, so I had to find other ways to challenge them. I played pink noise and a variety of other program material through my hi-fi while wearing the PSBs, and ran various fans and motors around my house -- including a vacuum cleaner and a kitchen-ventilation hood. The Active Noise Cancellation (ANC) circuit significantly cut down on background noise in the low and middle frequencies and modestly reduced sounds in the upper-middle frequencies -- very high frequencies are already blocked by the sealed design. I’m sure they would greatly reduce the engine rumble of a large airplane, but probably wouldn’t completely eliminate the whine and rushing roar of smaller aircraft. Speaking of whining, the PSBs will provide only a little help in shutting out the screams of that baby two rows back. Similarly, on a noisy commuter train, they’ll help with the sound of the rails and the general murmur of voices, but not so much with the teenage girl yelling into her cell phone. While your music may effectively mask these upper-mid-frequency noises, that’s not the point of Active Noise Cancellation. In a quiet room, I noticed a reduction of the bass frequencies and an increased amount of hissing in the upper frequencies, but I wouldn’t expect these changes to be very noticeable in the places where noise cancellation is needed. Most of my headphone listening is at home using dedicated amplification and full-size cans. At the M4U 2s’ price of $399 are also highly accomplished offerings from AKG, Sennheiser, Ultrasone, and others. I find larger headphones with open backs to offer a greater sense of space and more detail and transparency -- although generally less bass -- but the great solidity and isolation of the PSBs have their own appeal. Rather than giving a detailed comparison of the M4U 2s against headphones primarily intended for the home or studio, I sought out a more natural competitor. In terms of sales and brand recognition, the Bose Quiet Comfort 15 headphones ($299) are the king of the active-noise-canceling hill. Their overall design, build quality, and accessories are similar to those of the M4U 2s. The most significant difference is that the QC 15s operate only in active-noise-canceling mode. If the headphones’ battery runs out, your listening session is over. A more subtle design difference is that the QC 15s’ earcups are vented rather than completely closed. That allows somewhat more sound from the outside to reach your ears -- but since you can’t listen to music without noise cancellation, the distinction may not be terribly relevant. Like the PSBs, the QC 15s use four microphones to achieve noise cancellation, but the result is a significant step ahead of the M4U 2s’ ability. Except for the increased sense of pressure at the eardrums, which I’ve always found unpleasant with noise-cancellation models, turning on the Boses is like walking into a sound isolation booth. Constant, steady sounds are well diminished throughout the audioband, and random sounds -- such as speech, or that inevitable crying baby on a plane -- are also better suppressed by the QC 15s than by the M4U 2s. Provided you’re willing to stick objects in your ear canals, in-ear ’phones can offer still better isolation, but the QC 15s are very good at this task. Perhaps it’s the Boses’ vented earcups that make them sound more open and expansive than the PSBs. Whatever the reason, the left-right spread is greater with most recordings, the sound less dense. That more open sound also means that the reverberant decay of something like a plucked guitar string lasts longer. You may prefer one sound over the other -- there’s no real right or wrong here. In other respects, the QC 15s give up a lot of ground to the M4U 2s. The Bose headphones reach all the way into the bottom octave, but with less authority than the PSBs. That bass is also a bit on the woolly side, though not nearly so much as with the previous generation of Bose ’phones. There seems to be a wide trough in the frequency response from the upper bass through the lower midrange. This gives a very clean, articulate sound, but makes the whole presentation lighter and, to me, less satisfying. Large-scale orchestral music lacks gravitas, and gets very confused in complex passages. Voices and instrumental timbres are washed out and papery. Listening through the Boses to Julia Fischer’s second volume of Schubert’s complete works for violin and piano, with pianist Martin Helmchen (SACD/CD, PentaTone PTC 5186 348), I can recognize that I’m hearing a violin and piano, but through the PSBs they sounded significantly more solid, more like real instruments. When I listened to Alison Krauss and Union Station’s Live (CD, Rounder 11661-0515-2) through my iPod, Krauss’s and Dan Tyminski’s voices were rather thin and bright. Jerry Douglas’s Dobro was reproduced with most of its high harmonic information intact, but lacked the pitches’ fundamental frequencies -- which made it rather annoying. Many audiophiles seem to have something against Bose. I don’t. I admire the work their marketing department has done to get consumers to consider the proposition that better sound deserves a higher price. Even at $299, there are a lot of really awful-sounding headphones these days. The QC 15s don’t produce sound that’s terrible, only merely average. If noise cancellation is your goal, Bose’s Quiet Comfort 15s are the clear winners. If your primary concern is sound quality, the choice is equally clear: PSB’s M4U 2s. To succeed in the crowded marketplace of portable headphones, a product needs to score high marks in a number of criteria. 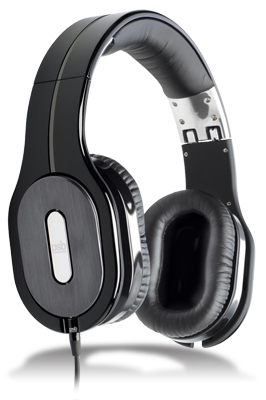 The PSB M4U 2s have a sleek design, robust build quality, a very comfortable feel, and a full complement of accessories. Their noise-canceling mode is good but not excellent, though the isolation provided by the tightly sealed design largely makes up for that shortcoming. The passive mode offers solid performance from a good headphone output or dedicated amp, and it could save you from hours of boredom if your batteries run out and there’s no spare set on hand. The M4U 2s’ standout feature is their active mode. 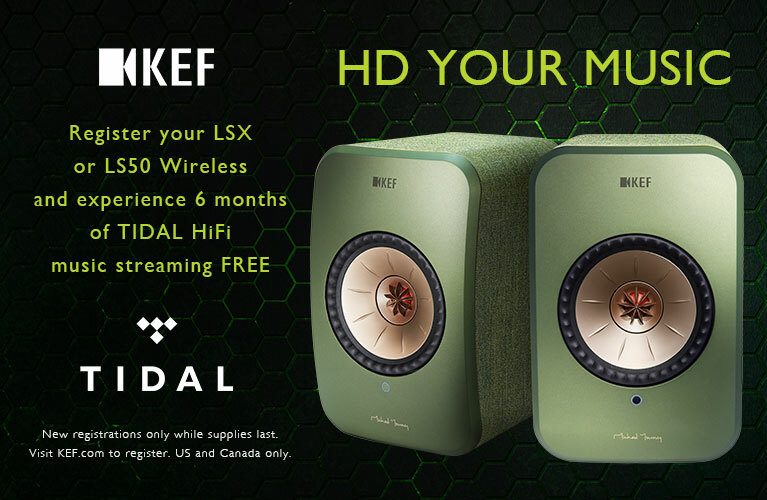 They provide extremely powerful yet well-controlled bass, an exceptionally even midrange, and a top end that deftly walks the line between delivering the necessary musical information and exposing the foibles of many contemporary recordings and portable players. Given a good recording, they also deliver a more spacious, more immersive soundfield than you might expect from such relatively small ’phones. Add to that the fact that you don’t need to buy or carry around an additional headphone amp to enjoy all of those benefits, and PSB’s M4U 2s make a very compelling case to the audiophile who thinks that great sound isn’t only for the home.